Everyone deserves a bit of sparkle during Christmas! I love making handmade cards to go with either a gift or to just send to a family member or friend during this time of year. 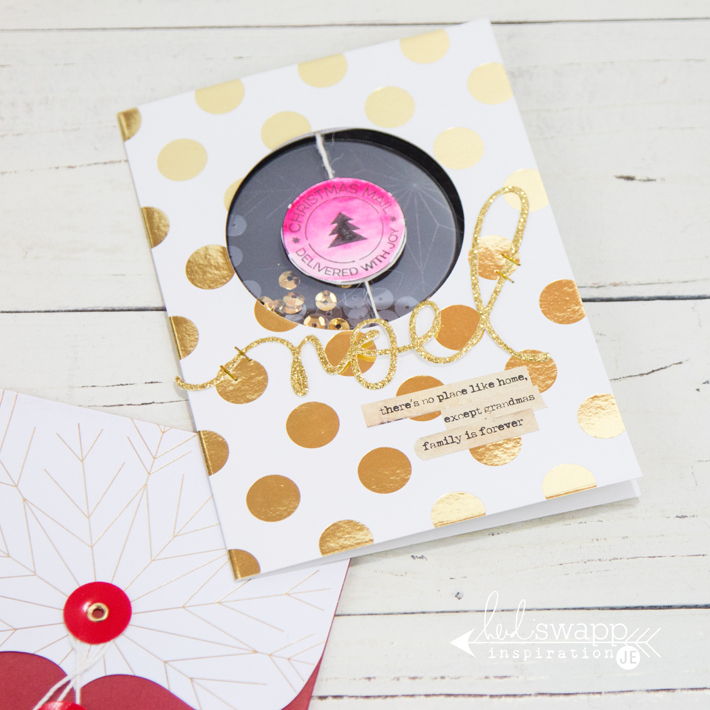 I thought it would be fun to add an element of surprise to these Gold Foiled Polka Dot Cards by Heidi Swapp. It comes already looking beautiful you could leave it alone or add a little something to it! I used a die to cut a circle from the center of the card. It was a perfect place to adhere a spinner with the Heidi Swapp Oh What Fun Rubber Stamps stamped on watercolor paper. I used a Zig Clean Color Real Brush Pen to add some color to the top and dragged the color down with some water on a brush. I also added a "merry" die cut from the glitter paper pack for my sentiment. Inside the card I added a shaker with some Heidi Swapp Confetti! It all is so much fun to open! I mean who wouldn't love a bit more confetti in their life?!! You can find all these products on sale at selective Jo-Ann Fabric and Craft Stores and in their online shop!!! Create Well: Create an element of surprise on your next card!